I’m back in the Apple Store Core today. My Boss James is hosting a lunch ‘n’ learn and I tagged along for the peanut butter cookies, and because the Apple store is next to Anthropologie and I have some business to take care of at Anthro involving me and new clothes. But for now I have to look like I’m here to blog. So bear with me folks; I need to type for a while to justify my presence and cookie-eating. James and I pulled up at the same time so the Apple handlers herded us into the elevator together and into the upstairs Core. Pastor Christi showed up a few minutes later. This is her, get ready, THIRD Apple Core presentation. So I’m thinking if this whole seminary/front desk thing doesn’t work out, she should consider giving iPhone lessons. She could probably tie scripture verses to it. 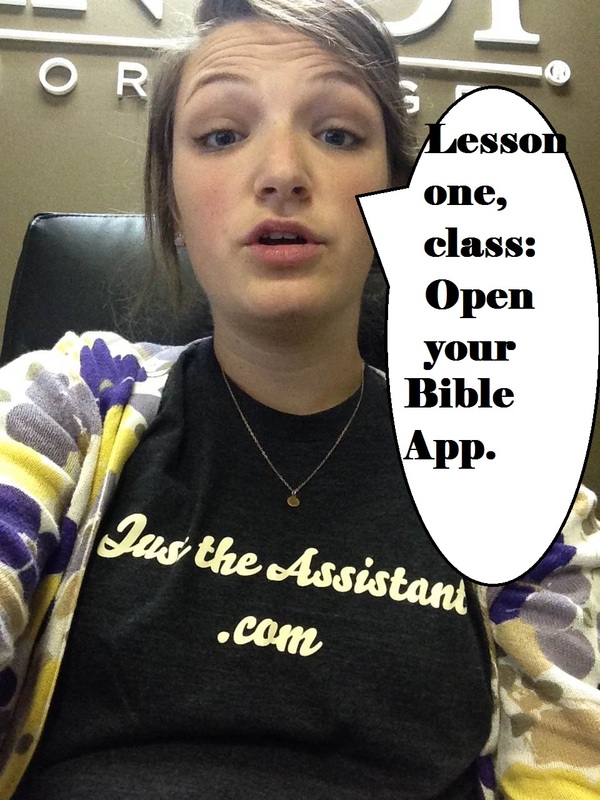 She could, like, show people how to use the Bible App. Unfortunately I didn’t pay attention in the last class, nor am I paying attention in this one, so I’m out of career options if being an office slouch doesn’t work out. 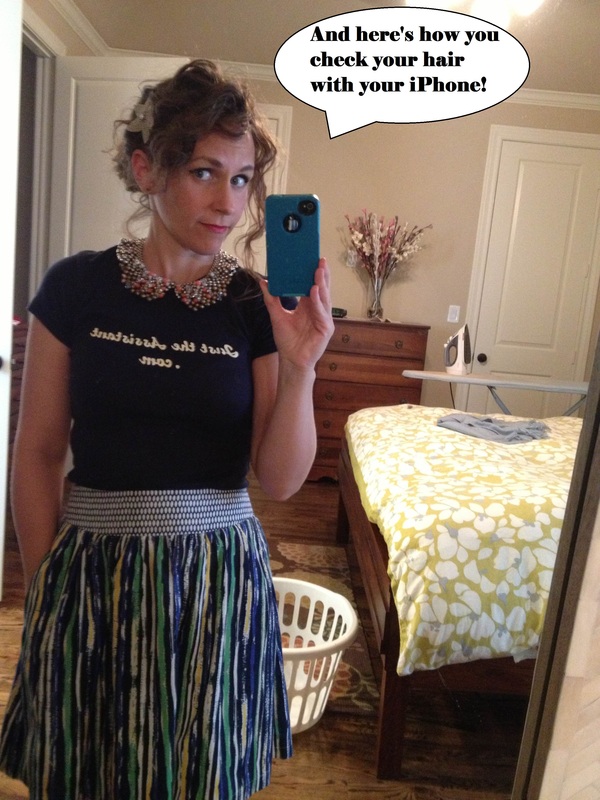 I’m pretty sure most folks know how to take vain pictures already. But I keep going, “Yeah,” whenever the lady asks “Does that make sense?” Sometimes I nod, too, for good measure. If you find out what I could use for the blog, let me know. While you do that, I’m off to, yet again, do nothing cool with my iPhone.